Building temporary shelters to protect from rain, cold, wind and sun. Finding and purifying water--even when there are no streams or lakes nearby. Building and using fire for cooking, signaling, warmth and making tools. Identifying and cooking wild edible plants. Building Gale's famous twitch-up snares. Katniss's hunting and stalking skills. Making your own survival bow and arrows and other tools. The materials you need to create a forage bag like Katniss's. Navigation tips and tricks for travel, rescue and evasion. Detailed photos and step-by-step instructions will help you master each skill. 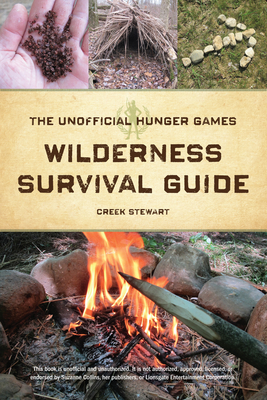 The real-life skills found in The Unofficial Hunger Games Wilderness Survival Guide will help you in any wilderness or disaster survival situation. Start your training today.